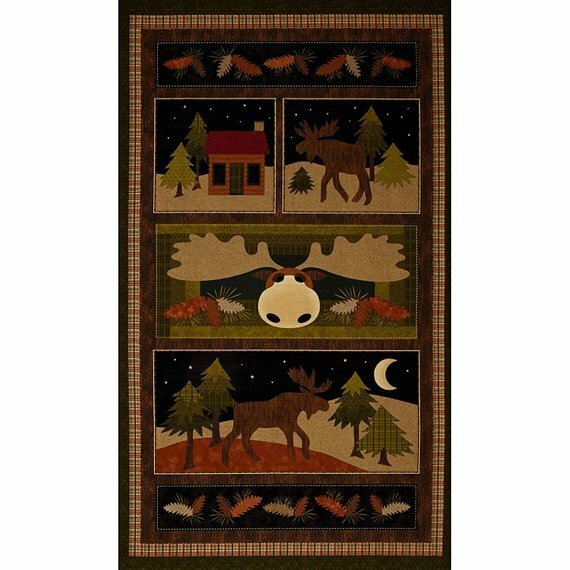 Benartex Fabrics Benartex Moose on the Loose 04300 PANEL Panel is 2/3 Yard. 100% Cotton. 43"-44" wide.